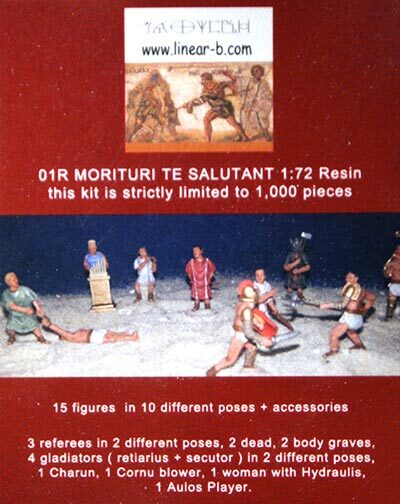 "We who are about to die salute thee" is the first in a new range of limited edition resin sets by Linear-B. This is a Limited Edition of 1000 sets. 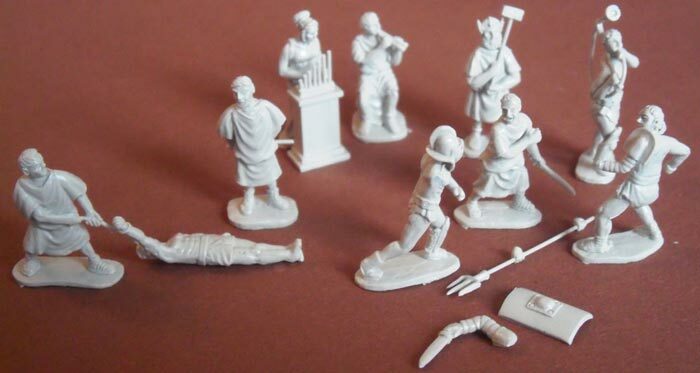 15 unpainted figures with a thin base plate in 10 different poses + accessories like eg a water organ. 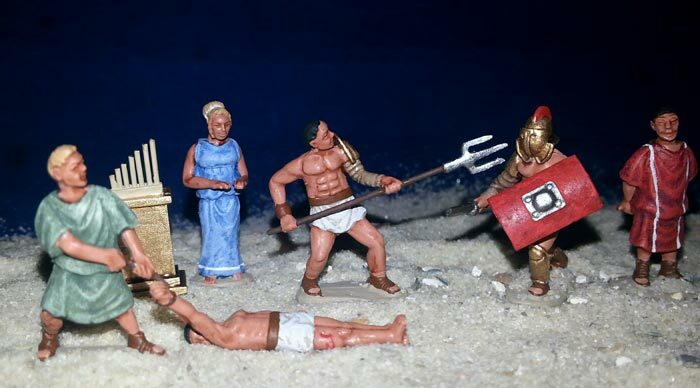 3 referees in 2 different poses , 2 dead , 2 body graves , 4 gladiators ( retiarius + secutor ) in 2 different poses, 1 Charun, 1 Cornu blower , 1 woman with Hydraulis , 1 Aulos Player.